This is hard! 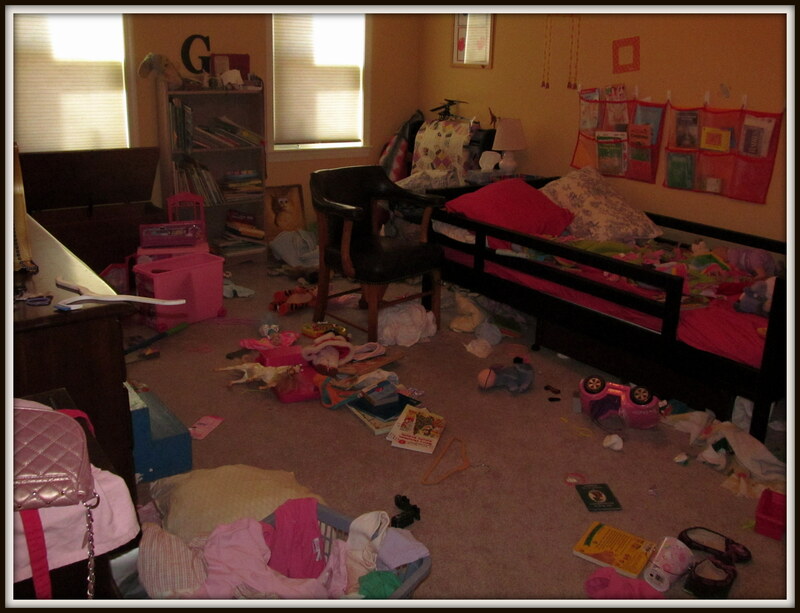 My kids and I worked hard on the bedrooms and only got to 2 of them. It was a lot of hard work for 2 hours with 3 small kids. I got pretty exhausted and it did cause me to fall behind on my other chores like dishes. Here is the before of my Doodle’s room. 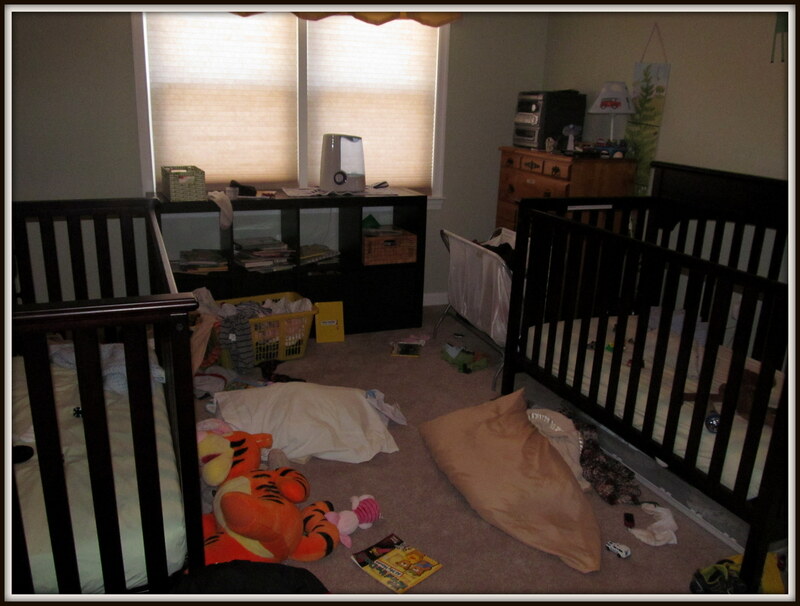 Here is the before of the boys’ room. Yesterday we had outside activities so I fell behind again on working on the “other” room. I did put some items away in the dining room and I even cleaned up the family room a bit and vacuumed it. It still needs more cleaning even after that quick clean up. Then today the kids spilled a bag of popcorn all over the floor so I need to re-vaccum. It is never ending! My goal this weekend is to get the office cleaned! My husband and I are on the same page to get it looking very clean and re-organized. I plan on catching up on coupons and we plan on working together to get rid of papers we just don’t need to keep. 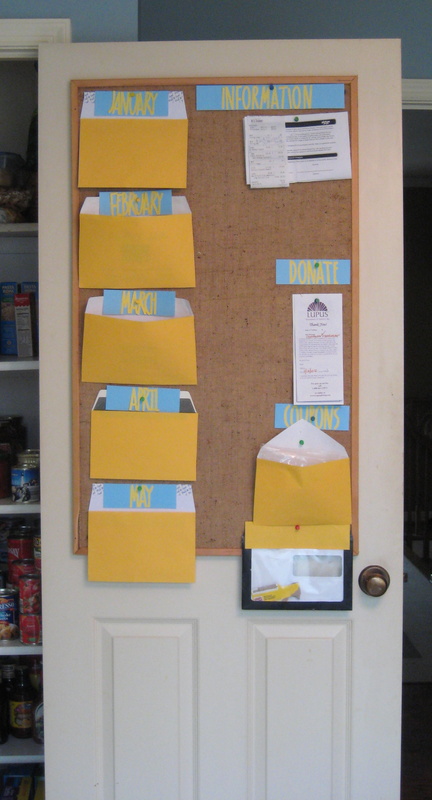 One that has continued to work well for us is our receipt envelopes which is part of our message board. This method has saved us so much time and stress. Yes, we have been doing this for over a year and it has worked! As soon as we get a receipt for anything we put it in the monthly envelope and if we need it again we know exactly where to go! I like your idea for the receipt envelopes on the board! I usually stuff mine in ziplock sandwich bags but they seem to easily go missing. I might try this for 2014!